Poor telephones. With all the mobile hoopla, the good old landlines just aren’t getting any respect anymore. Maybe what they need is a transformation. A makeover, if you will. 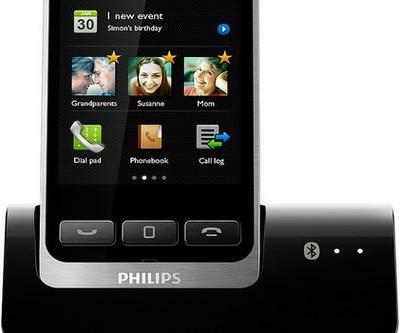 Enter the Philips S10, a cordless telephone that disguises itself as a smartphone. There’s the requisite slim form factor and 3.5″ color touchscreen. Even the UI takes cues from mobile platforms, with alerts and event notifications. All that seems to be missing is apps. Well if you can do without Angry Birds, you might find that the S10 is still pretty handy: Not only does it work as a traditional cordless telephone, but it also connects to your actual mobile phone via Bluetooth — which means you can stash your iPhone or Galaxy S III in a strong reception location in the house, and then use the S10 to look in your cellie’s addressbook, place mobile calls or receive them. (The cordless phone has a range of roughly 50 meters.) It can also lock the contacts on your S10, to thwart nosy roommates or siblings, and contact info from your address book can disappear as soon as you leave the house, as the telephone knows your smartphone’s out of Bluetooth range. 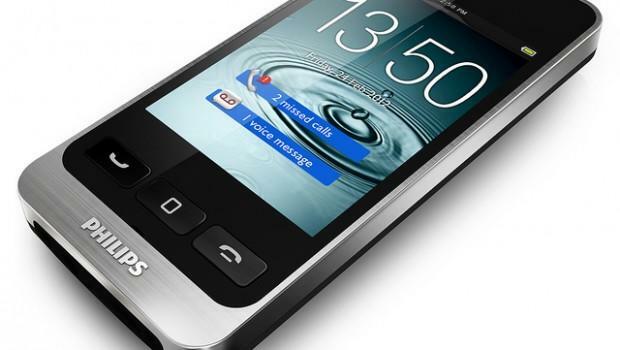 The S10 also features HQ-sound technology, and the company boasts that it can even improve the sound of mobile calls in poor signal areas, thanks to the DECT technology on board. 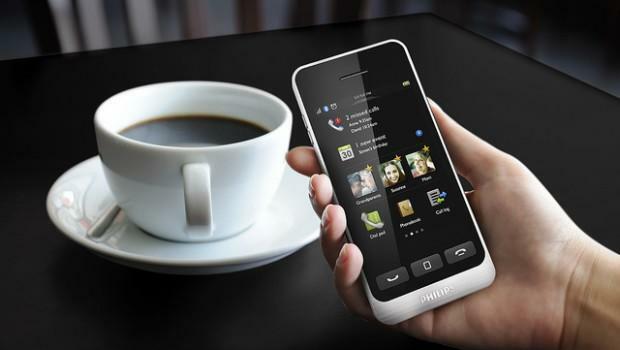 It’s interesting to see how telephone makers are paying attention to mobile platforms. Sure, in this case, it’s by mimicking the looks, but it and others in this category of product are also designed to work hand in hand with the smartphone you already own. The Bluetooth allows these different (but related) devices to work together in a way that resolves a really pesky dilemma for a lot of end users — dead zones inside the home. I’ve been using the Panasonic Link2Cell lately, and it has greatly helped me resolve my miserable cellular coverage gaps inside. As an alternative or a companion to femtocell products (which are basically devices that work like mini cellular towers using your Wifi connection), the new breed of telephones is definitely getting smarter to help users stay connected. Sort of gives the term “smartphone” a whole new meaning, no? 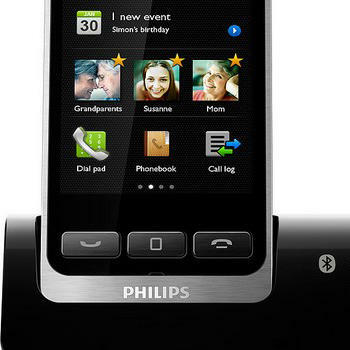 Interested in the Phillips S10 Cordless Phone? Hit up this link to learn more, or stay tuned for announcements on price and availability.